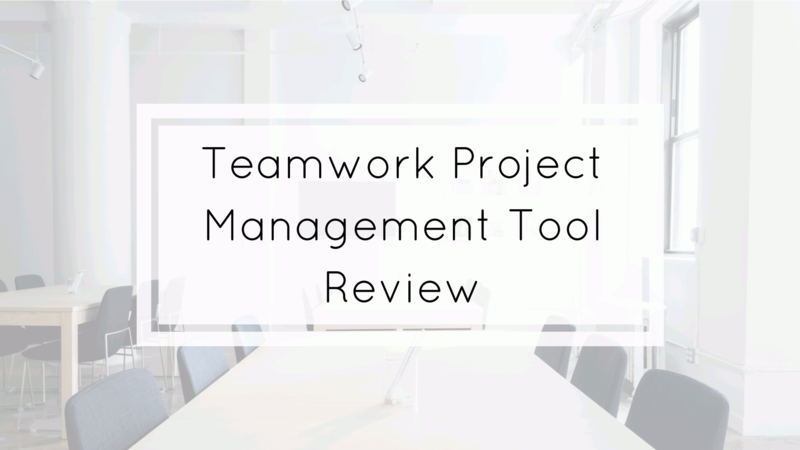 Today I want to review the project management tool Teamwork project. Keep all your team’s tasks in one place. Collaborate and work in real time for real results. The layout is simple structured, and the options are easy to find. On the top, you have the global menu and in the project view the menu related to the project. First, we will have a look at the global menu. The dashboard gives you an overview of all activities in your projects. You can also add a new project over the “add project” button. You can customize the view in the dashboard settings. At “Everything” you will find all active tasks, completed tasks, milestones, messages, comments, notebooks, files, links and time. Even the workload is shown. As you may expect, you get an overview of all your projects. The projects are also shown in categories if categories were created before, and you can also add a new project. All project events are presented in the calendar. With the filter, you can sort it after event types, projects or people. People can set a status what they are doing at the moment or working on. You can get a status overview of all members. With the RSS Feed, it is possible to follow someone’s status. In this section, all people who are involved in teamwork projects are listed. As an owner you can see the profile details, the time logged in, the project they are involved in, assigned tasks etc. The user rights can also be changed here. Now let´s head over to the project menu. Under Summary, you get a very detailed picture what´s happening on the project. You also have a lot of statistics about different points from tracked time to project trend. Another tab under overview is activity, where you can see all ongoing activities regarding this project. You also have the possibility to export the activities to an excel file. In the tasks options, it is possible to create a task list and add sub-items or create a general task directly. • Who should do this > assign a task to someone and notify him via email. • Privacy – Who can see the task? It is possible to set milestones to specific dates. Communicate with all or selected people and set notifications for people. It´s like a file manager were all project-related files can be uploaded and sorted by categories. In addition, versioning of files is possible, which makes the work much easier and keeps the files clear so that everyone is working with the latest version. You can manually create a time log and assign it to a task or start the timer quickly and assign the tasks you worked on to the recorded time afterward. You can check the option that the time should be billed. As the word already says you can create notebooks to write down ideas, notes or other useful points. With the option “Risk”, you can create and manage your risk management. You can set the source, probability, impact and the impact areas. The risk register can be exported to a pdf or excel file. Links is a good option to save useful links and share it with other people which may be helpful for the project. The next tab is “Billing”. Here you can create invoices and assign the unbilled time and unbilled expenses easily to an invoice. The unbilled time will automatically be shown when you create a new time log. New expenses can be created under billing. You also have the option to set the invoice as fixed price or depending on the time and expenses. For the billed time you can set rates generally for the project or single people working on the project. The last tab is “People”. You can see all people who are involved in the project and see all profile details + assigned tasks, projects, etc. You can also assign the people to roles to have a better overview. Teamwork project is a great software with a lot of options. In the beginning, all these options are overwhelming and make it hard to start directly, but with a little bit of training, it´s easy to handle. You can manage, organize and set many things and no needs will be left. For me, a definitely plus is the time tracker (Free Teamwork Timer App) and billing. The billing is only equipment with standard options. For extending invoice creation (customer info, assign invoice to the customer, send an invoice out), you need an integration like Freshbooks, Xero or Harvest. Teamwork project is an excellent project management tool which provides all functions you may expect but on the other hand, it doesn´t provide something new or a different way/method of project managing. For more information check out the Teamwork projects website or our project management section.